R.J. Rushdoony: 00:02 What is a monopoly? This is R.J.Rushdoony, with a report on our threatened freedom. Any organization or institution which has the exclusive control over an area of life or the economy is a monopoly. R.J. Rushdoony: 00:17 No monopoly can really exist without status protection to eliminate competition. A monopoly is thus a state created power over a section of our life or economy. At one time, a state established church had a monopoly on religion, but monopolies now tend to lie in other areas. In some cities, we have a monopoly by a taxi company. The city refuses to license any other cab company. Two other common monopolies are telephone and power. These are limited monopolies, as are cab companies. R.J. Rushdoony: 00:56 If you don’t like the taxi, you can still take the bus or drive your car. An electrical power company has a state license or granted monopoly, but it’s control is still limited. For example, our regional power company made a blunder during the energy crisis as did most power companies. R.J. Rushdoony: 01:18 It assumed that the price of oil would continue to climb sharply and so it signed a long term contract that price rises, more gradual than it estimated it would take place. In 1981 congress deregulated oil to a degree and the price first rose and then dropped. As three markets supply and demand took over. R.J. Rushdoony: 01:42 However, for the power companies, the price rose in terms of their contract commitments. Our power bill doubled in one month. Everyone in our area was angry. People began to turn off the heat, use their fireplaces, where long johns and warmer clothing and to cut their fuel usage in every way possible. My own power bill for a very cold winter month dropped to a seven year low. The power company was hurt and it quickly promised the strictest measures to give us lower rates. Thus, although I have only one power company to choose from, I can limit my use of it services. R.J. Rushdoony: 02:29 I cannot do this with any level of civil government. It is impossible for me to tell the Internal Revenue Service that I do not intend to use any of a number of federal services and to deduct a portion of my tax bill without having to face the car. I cannot tell the state or county, that I am against their road expansion and development program and then deducted given portion of my tax bill. R.J. Rushdoony: 02:59 In other words, the modern power state, big government is our one true monopoly. The more the federal government grows, the greater its monopolistic control over all of us. Basic to a monopoly, is its power to eliminate the fact of choice. Now choice is basic degree. Choice means that I can choose my place of residence, my job, my wife, my friends and associates. I can go and come, stay and move at my option. It is the essence of the Marxist monopoly state that one after another, many of these choices are infringed. R.J. Rushdoony: 03:45 Even the freedom of a Russian girl to marry an American boy is controlled. The United States is by no means a monopoly state on the same level as Red China or the Soviet Union. But with each new, bigger budget and the steady growth of the federal and state governments, we move a step closer to being the same kind of monopoly. Monopoly as a parlor game may be fine, but as a fact of life, it is dangerous to freedom. Bigness and civil government is the most deadly form of bigness and monopoly. 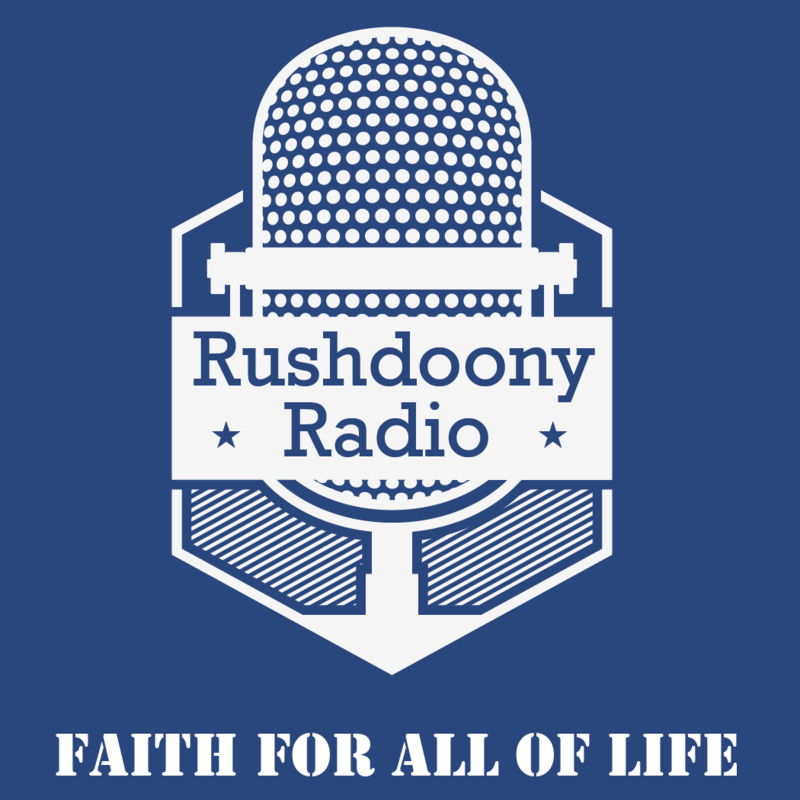 This has been R.J. Rushdoony here with a report on our threatened freedom.